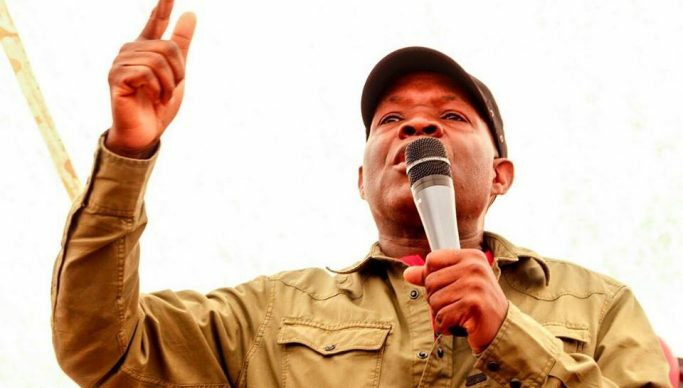 Any military strategy to oust President Nicolas Maduro will lead to a long and bloody civil conflict in Venezuela, Socialist Party (Zambia) 2021 presidential candidate Dr Fred M’membe has warned. In a statement on the United States announced coup against Venezuelan President Nicolas Maduro, Dr M’membe on behalf of party Politburo of the Socialist Party (Zambia) said it was common knowledge how the many years of the Yankee strategies in Venezuela had led to a polarized society. “Any military strategy to oust the legitimately elected government of President Nicolas Maduro will nothing but lead to a long and bloody civil conflict in Venezuela,” he said. “And this has always been the US panacea wherever it has economic interests”. US President Donald Trump on Wednesday declared, “Today, I am officially recognizing the President of the Venezuelan National Assembly, Juan Guaido, as the Interim President of Venezuela. In its role as the only legitimate branch of government duly elected by the Venezuelan people, the National Assembly invoked the country’s Constitution to declare Nicolas Maduro illegitimate, and the office of the presidency therefore vacant. The people of Venezuela have courageously spoken out against Maduro and his regime and demanded freedom and the rule of law. But Dr M’membe said access to oil and various other natural resources that the empire needed to satisfy its huge consumeristic appetite had led to nasty military interventions. “You can list the blood coups and regime change strategies that have left nothing but total havoc in many countries among them: Iraq – Desert Storm and toppling of Saddam Hussein, Libya – the intervention and assassination of Muamar Gaddafi, the Patrice Lumumba assassination and instability in the mineral rich DRC, the bloody Chilean coup that toppled Salvador Allende, the military regimes in Brazil, Argentina, Paraguay, Nicaragua, Guatemala, etc,” he said. Dr M’membe said in all such instances, Washington via the CIA had a hand and several US transnational corporations had or still had vested interests. He said it was clear that the Trump administration had revived the 20th century gun-boat diplomacy doctrine that placed Latin America and the Caribbean region as its backyard, but could no longer be tolerated. “President Maduro’s crime has been his refusal to submit to fascist interests. He has resolutely stood for national interests; distributing national resources for restoration of socio-economic benefit of Venezuelans – giving the nation its dignity,” Dr M’membe said. “Washington has never recognized an administration that does not submit to right-wing interests”. He said President Trump and his Vice-President Mike Pence’s recognition of Juan Guaido as interim Venezuelan president was nothing but an American-led coup against a constitutional government of President Maduro. “We call on all civilized nations and leaders to reject and condemn this US coup in Venezuela and defend that country’s independence. Trump’s government and its Washington lackeys are the usurpers of power in Venezuela,” he said. “With the stance taken by the empire, their evil motive and schemes over Venezuela has been unmasked”. Last week, President Maduro observed that the country was in a better position to confront the cut throat battle against international sanctions that had cost Venezuela losses of some 20 billion dollars in 2018 alone. President Maduro said last week he was intent on raising oil production, increasing Venezuela’s petrochemical capacity, the production of gold, of diamonds, of coltan, iron, steel, aluminum, etc. – riches that the country had, and raw materials that have an open international market, despite the extensive international persecution decreed by the US. Dr M’membe assured President Maduro, all Venezuelan revolutionaries and people of the Socialist Party’s solidarity in the defence of their revolution and homeland’s sovereignty.